¿Quién podría imaginar lo de Obama entonces? This picture was taken in 1900 in Hampton, Virginia. 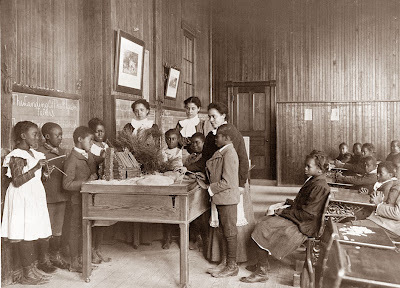 It shows a school room with Black Children.